You are putting in so much effort in everything you do just because you want to stand out in the crowd whether it is online or the offline world. However, in this article we are going to talk about the online world and how to determine the length of any piece of content that you create whether it is the tweet that you post or an e-mail that you send. Especially, if you are doing it for marketing purpose, the length of content really matters irrespective of the platforms they are being published on. However, it always depends on content to content and that there is no certain rule as to how lengthy should be your write-ups. Still, we went ahead, researched and have found answers for the ideal length of your various types of content. Here are the ideal lengths for everything on the internet. 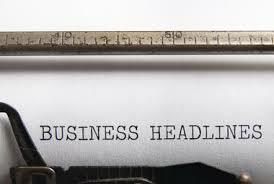 The ideal length of a headline is 6 words. You might find headline with 30 words to be the highest converting on the web in spite of the fact that they can’t even fit in a tweet still a recent study revealed that people scan only first three words and last three words in a headline before they actually click on it. This is why if you want your entire headline to be read, you should try keeping it to 6 words. Although, writing a headline with only six words isn’t an easy task but you should try limiting it and make your every word count at the same time. 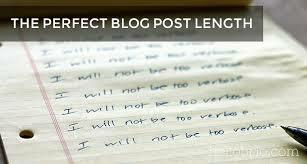 The ideal length of a blog post is 7 minutes, 1,600 words. Obviously, an ideal blog post would be one that people read. A recent research revealed that people are more likely to read a blog post which is almost seven minutes long and they usually give up if it’s lengthier than that. And in terms of word count, a 7-minute lengthy blog post comes in around 1,600 words. As far as ideal post length from an SEO perspective is concerned it depends on site to site. For instance, for some sites longer posts do well while for others you need to limit your post length. However, always remember never get too much bothered by the length of the post and create content that’s really helpful for people; they will read it for sure even if it is somewhat lengthier. The ideal width of a paragraph is 40-55 characters. Now, the question arises why we said width here as width and length are two different things. Because a recent study unveiled that content width decides about the simplicity or complexity of the content. Besides, it really works in maximizing reader comprehension. The sentences shouldn’t be too long and that the perfect line length ranges between 40 and 55 characters per line that means about 8 to 11 words. 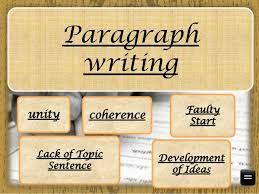 Make sure your opening paragraph is easy to read. Do whatever you can do, increase the font size, use fewer characters per line or just anything that will make it appealing. It clearly shows that although email subject line with 28 to 39% characters has an open rate of 12.2% but the clicks they get is 4%, which is higher than that for any other length. However, you can always adhere to email marketing best practices and can keep your subject line to 50 characters or less. The ideal length of a Facebook post is less than 40 characters, which is actually too less and that putting across your message would really become very tough. Still, a recent research found that the ultra-short 40-character Facebook posts received 86 percent higher engagement than others. Not just that many other studies over the years have proved that shorter posts are better on Facebook. Although Tweets are limited to 140 characters but its ideal length is 100 characters as it was found in a recent study that tweets shorter than 100 characters get a 17% higher engagement rate. Hence, to maximize the readability and appearance of your tweets you must try limiting it to 100 words. 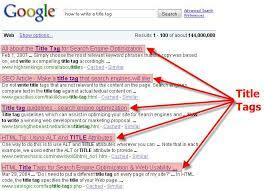 The ideal length of a title tag that are the bits of text defining your page on a search results page is 55 characters. As far as Google is concerned, they have set the maximum length for titles to be 60 characters and if your title exceeds it, it will get shortened with an ellipse. So, why we suggest it to be 55 because when it comes to Google, they use Arial for the titles on its result pages that makes different letters take up different width. So, the maximum allowable characters that can fit on one line will get changed due to the width acquired by different letters in your title. 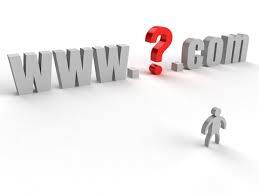 Besides, make sure your domain name doesn’t contain hyphens and numbers and has a .com extension. So, these were a few hints on deciding the perfect length for everything that’s there on the internet. Do let know in comments if you come across any other.